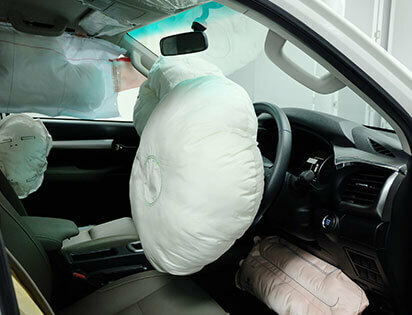 Airbags, in conjunction with seatbelt systems, are the main feature for reducing risk in the event of an accident. They are as such a very important feature of the safety of your vehicle and should be working at full capacity at all times. If you see the warning light come on for your air bag, you should immediately bring you vehicle to Berwick Automotive Services to have it checked. This light is a warning. You should also have your crash sensors checked by a professional. Call Berwick Automotive Specialists today to make sure your safety is assured in your vehicle!